A pack of six 114ml bubble fluid pots with wands. 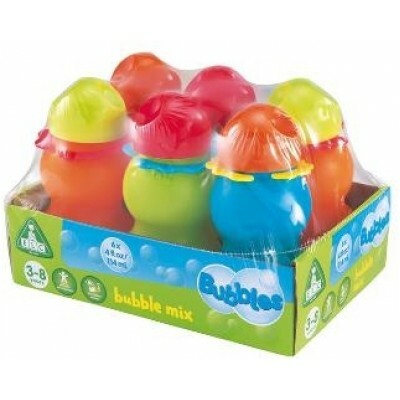 Perfect for party bags, this pack of six party bubble pots comes in fun colours, and includes bubble wands that attach to the pots for convenience. Blow big bubbles, small bubbles and as many bubbles as you can in one blow!